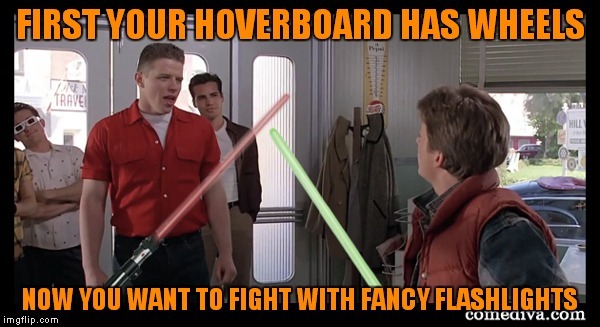 How much cooler would our history be if they would've had lightsabers? Agreed, some of the world wars stuff got pretty boring. This would definitely help. Well truthfully, war is never a good thing regardless of the weaponry, but it might have made for some more interesting reading. My favorite image yet home skillet! 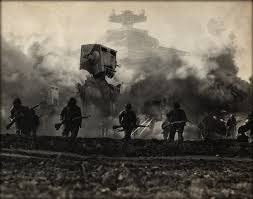 I wish I could photoshop like that, just a lucky find on a search. Indeed. To steal a line from Fallout, "war never changes." It's a good day when someone posts Dickbutt. What a historical place Virginia is too! You can't swing a dead cat without hitting something historic! (Then having The US National Park Police arrest you! Lol) It was the same with me, I imagine it becomes interesting when you get over the bar scene! Lol. I really enjoy learning about it now, this would have been useful to me in high school! Ha ha! I read fewer than half the books I was assigned to read in high school. I hated to read novels. I still do. If it's fiction it doesn't hold my interest. My aunt thought I had dyslexia. I think I have ADD or some other type of learning disability. Oh well. I think the only (and I mean only) assigned book I read all the way through was Of Mice and Men by Steinbeck. Wonderful book fwiw. And I grew up only an hour or two north of where he lived (Monterey/Salinas). I liked "Of Mice or Men". I hated reading books too!! With one exception, in 9th grade I picked up this book called "The Hobbit", I couldn't put it down! Within 10 days I read "The Hobbit" and "The Lord of the Rings!!" I couldn't put those books down! That was the first,mans last time that ever happend with me, as far as books go! The movies were great, although I was watching them going "You left this and this out!" Nevertheless, I'll watch the movies anytime I see them when I'm channel surfing! lol AND he said it on the internet! Now you know what your next project is. So what. What is your problem anway. No I asked a question. Thanks to the one true god. I don't know if you are, but the guy who made this image probably is. Didja like it?? 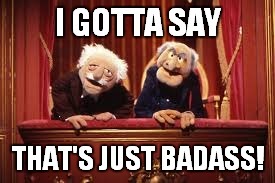 I thought it was awesome! I'm going to see it this weekend. Oh. I though there was a typo and said "got to go see it"
Another brilliant raydog meme! Well done. I bet that took a while to make. 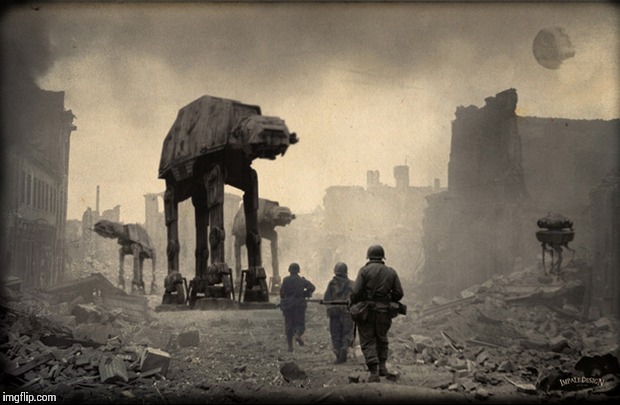 World war 2: Hitler deploys AT-ATs and the Death Star, but the allies make a bunch of cool fighters and stuff. 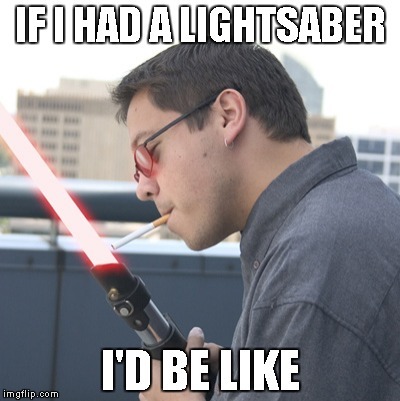 Lighsabers! 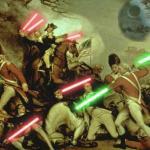 Why the redcoats using sabers more characteristic of the Jedi, George Washington using a sith one? 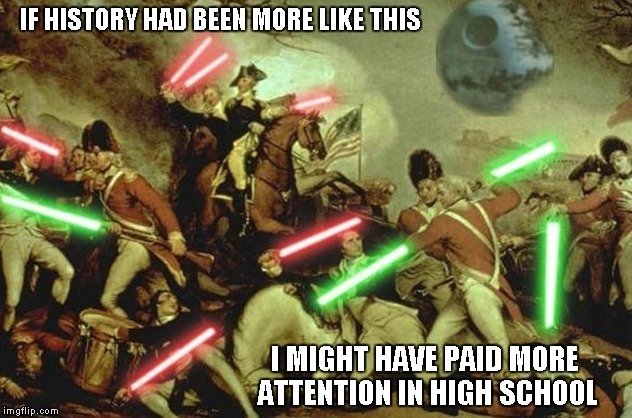 And our enemies have Storm Troopers who can't hit their targets. 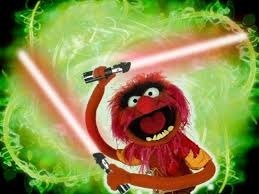 yyou mean to say star wers awakens isnt reality tv made for the movies?